Mace comes from the aril of the nutmeg and you can purchase it in whole or ground form. Since mace comes from the nutmeg plant, the two share a common history. Nutmeg originated in a set of Indonesian islands called the Banda Islands. It has been in use from as far back as the first century AD when Pliny described it as a nut with two separate flavors. The Banda Islands were the only known source of nutmeg and mace until the middle of the 19th century. These islands were also some of the first places visited by Europeans as they ventured into Asia. The Dutch East India Company waged a war with the Bandanese in 1621 to gain control of the trade in nutmeg and mace. So that they could be protected from the Dutch, the Bandanese negotiated with Britain. This gave the British total control over nutmeg from the Banda Islands, which also then became the first overseas British colony. The British would later transplant nutmeg trees to their other colonies including Singapore and the West Indian island of Grenada. Indonesia is still a major nutmeg producer, as is Grenada. 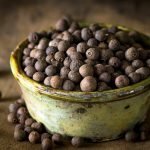 As you might expect, the flavor of mace does bear some similarities to the flavor of nutmeg; however, it does differ in that it is lighter and contains its own complex set of flavor notes. Mace’s flavor includes citrus and cinnamon notes. It also delivers a pungent sensation reminiscent of mint and basil. It is important to note that long cooking times can change the flavor profile making mace somewhat bitter, which means that it should be added at the end of the cooking time rather than at the beginning. Essential oils: Mace contains various essential oils including elemecin, eugenol and myristicin. Vitamin C: Mace’s vitamin C content is seven times greater than that of its sister spice, nutmeg. 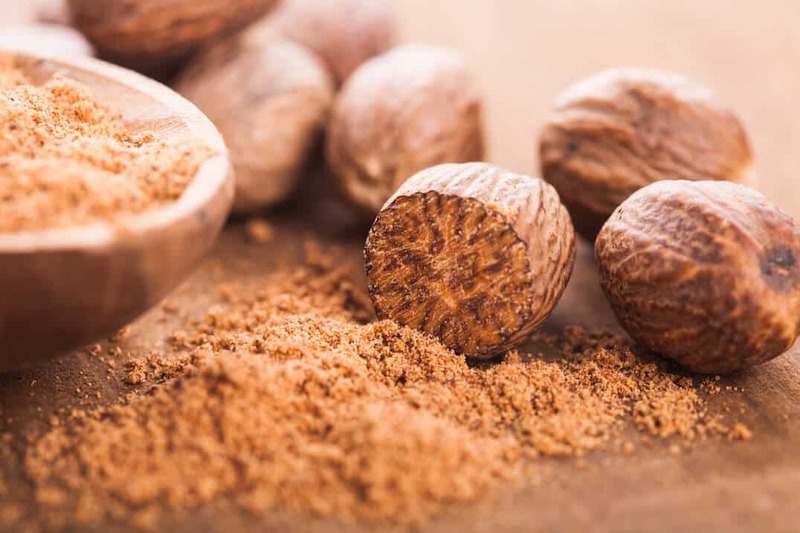 Vitamin A: Mace has nine times more of this vitamin when compared to nutmeg. Minerals: Mace has contains more than four times as much calcium, iron and magnesium as nutmeg. Mace is a popular remedy in traditional Indian and Chinese medicine where it serves as a treatment for digestive ailments like nausea, diarrhea and gas. Mace also has soothing and stimulatory effects on the brain. The eugenol in mace is effective both for relieving toothaches and as a local anesthetic that can reduce muscle and rheumatic pain during massage. Mace shines as a spice for baked goods such as cakes and cookies. It is also the main spice used in many doughnut recipes; however, its subtler flavors also make it a good addition to savory dishes. Mace can flavor chicken and pork as well as root vegetables and cream soups. 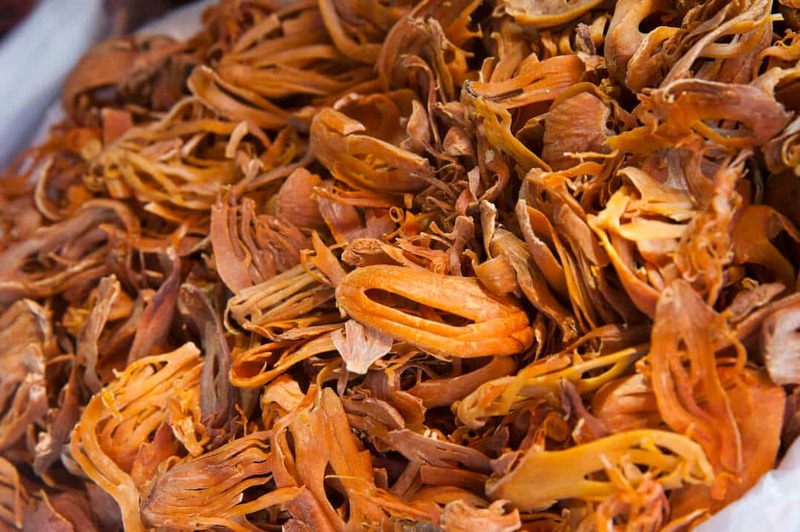 Many spice blends from Southeast Asia and the Middle East call for mace. Its delicate flavor requires that it be stored in a cool, dry environment and used as quickly as possible. What's A Good Nutmeg Substitute?